Hailed as a major Wagnerian voice of the future, Derek Welton made his first foray into the repertoire as Donner (Das Rheingold) under Richard Farnes at Opera North. He subsequently appeared as Klingsor (Parsifal) at the Beijing Music Festival and made his debut as der Heerrufer (Lohengrin) at Semperoper Dresden conducted by Christian Thielemann. His debut at the 2017 Bayreuther Festspiele as Klingsor under Hartmut Haenchen followed his acclaimed first performances as Wotan (Das Rheingold) at Deutsche Oper Berlin conducted by Donald Runnicles. The current season includes two important house debuts, at Lyric Opera of Chicago as Pandolfe (Cendrillon) under Sir Andrew Davis, and at Bayerische Staatsoper as Klingsor under Kirill Petrenko. 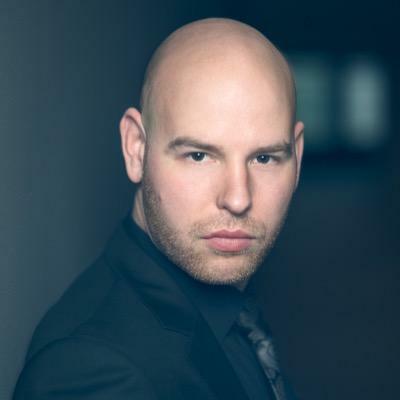 As a member of the Ensemble of Deutsche Oper Berlin performances there include The Cunning Little Vixen, Rienzi, Otello and a staged version of Verdi’s Messa da Requiem and he also sings further performances of Parsifal for Victorian Opera, Melbourne.